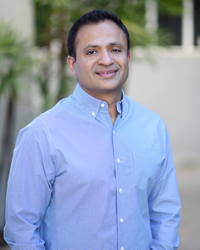 Gumbiner Savett Inc., a certified public accounting and business advisory firm located in the heart of Silicon Beach, is pleased to announce that Pradeep Budhiraja, CPA has been named a shareholder of the firm. Pradeep has been a valuable member of the firm for the past 17 years and is well respected among his clients and peers. We are proud that he is joining the shareholder group. Gumbiner Savett Inc., a certified public accounting and business advisory firm located in the heart of Silicon Beach, is pleased to announce that Pradeep Budhiraja, CPA has been named a shareholder of the firm effective January 1, 2018. Pradeep has served as a key member of the audit and accounting department since joining the firm in 2001. Pradeep provides audit and financial reporting and business consulting for startup, SEC registered and privately held entities. Over the past four years, he has helped a number of startup companies successfully navigate through the process of their initial public offering. He is also an expert in the area of revenue recognition due to his experience with numerous technology companies. His clients include companies in the technology, manufacturing and distribution, pharmaceuticals, life sciences and telecommunications industries. Pradeep is a graduate of the University of Delhi in India. He is a member of the American Institute of Certified Public Accountants; the California Society of Certified Public Accountants; and the Institute of Chartered Accountants of India. In his free time, Pradeep enjoys sports and traveling with his family. He is a resident of Oak Park, California. Gumbiner Savett Inc., is a full-service accounting and consulting firm headquartered in Santa Monica. Celebrating 65 years in 2015, the purpose of our work is to enrich our client’s lives by facilitating the achievement of their financial objectives and providing career fulfillment for our employees. We are dedicated to being the preeminent assurance, tax and business advisory firm for growth oriented businesses, middle market enterprises and high-net worth individuals in Southern California. In addition to traditional private and public company accounting and tax services, we specialize in general business consulting, estate and trust planning, fraud examination studies, business services and bookkeeping and litigation support. Gumbiner Savett Inc. is an independent member firm of BKR International.